African-American social dance: Tap, Jazz, Modern, and Hip-Hop. Direct from NYC, award winning dancer and choreographer Camille A. Brown presents ink, a celebration of African-American dance that explores race, culture, and Identity. Watch Camille A. Brown’s TED talk, A Visual History of Social Dance in 25 Moves here. Featuring live music, the performance explores the rituals, gestural vocabulary, and traditions that remain ingrained within the lineage of the African Diaspora. Uniting in an examination of self-empowerment, Black love, brotherhood, exhaustion and resilience, community and fellowship. In collaboration with Music Director Allison Miller, percussionist Wilson Torres, violinist Juliette Jones, and composer/pianist Scott Patterson, ink, is the final installation of Brown’s dance theatre trilogy about identity (along with “Mr. TOL E. RAncE”- 2012, “BLACK GIRL: Linguistic Play” – 2015). Together, using the rhythms and sounds of traditional African and handmade instruments as its center, the work travels through time with elements of Blues, Hip-Hop, Jazz, and Swing. This musical landscape embodies its own storytelling. 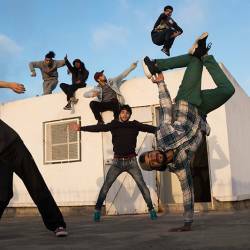 The movement is an amalgamation of African-American social dance, African, Tap, Jazz, Modern, and Hip-Hop. Through self-empowerment, Black love, brotherhood, exhaustion and resilience, community and fellowship, ink depicts the pedestrian interactions of individuals and relationships as grounds for accessing one’s innate super powers and finding liberation. The lead commissioners for ink are Peak Performances @ Montclair State University, NJ and The John F. Kennedy Center for the Performing Arts (Washington, D.C.), with support from the Lumberyard. ink also received co-commissioning support from ASU Gammage. The creation and presentation of ink was made possible by The New England Foundation for the Arts’ National Dance Project, with lead funding from the Doris Duke Charitable Foundation and the Andrew W. Mellon Foundation; The MAP Fund, supported by the Doris Duke Charitable Foundation and the Andrew W. Mellon Foundation; New York State Council on the Arts with the support of Governor Andrew M. Cuomo and the New York State Legislature; and the Howard Gilman Foundation. ink was given its original creative development residency by The Sharon Disney Lund School of Dance in partnership with The Evelyn Sharp/CalArtsSummer Choreographic Residency. The development of ink was made possible, in part, by the Maggie Allesee National Center for Choreography at Florida State University with support from the Princess Grace Foundation. The work is also being created, in part, during a production residency at ASU Gammage, University of Iowa’s Hancher Auditorium, 2017 Off-Shore Creation Residency at The Yard and creative residencies at Peak Performances @ Montclair State University, NJ, Jacob’s Pillow, Hobart & William Smith Colleges and CUNY Dance Initiative at Kingsborough Community College. 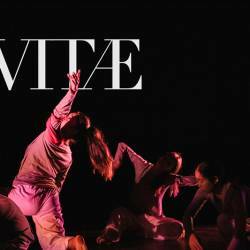 A choreographic debut, an original score, and ten committed dancers in a student-led project.